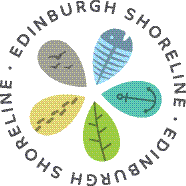 You are invited to an Edinburgh Shoreline event at the Botanic Garden on 29 March. This is the start of a year- long project focusing on the Edinburgh Shoreline – its rich history, culture and biodiversity – with input from local communities regarding how they relate to their section of coast and how they envisage it in the future. Please feel free to pass on to all those who might be interested. There will be a range of ways in which local communities can get involved and this first event focuses on community contributions to an RBGE exhibition this summer. See below the cut for more information about the project. Balfour Building, Royal Botanic Garden, Edinburgh, 20A Inverleith Row. Edinburgh EH3 5LR. Enter on the east side of the garden at 20 A Inverleith Row as the John Hope Gateway entrance on the west side will be closed. Tea and coffee will be available from 6.00 pm and the meeting will finish at 8.00.